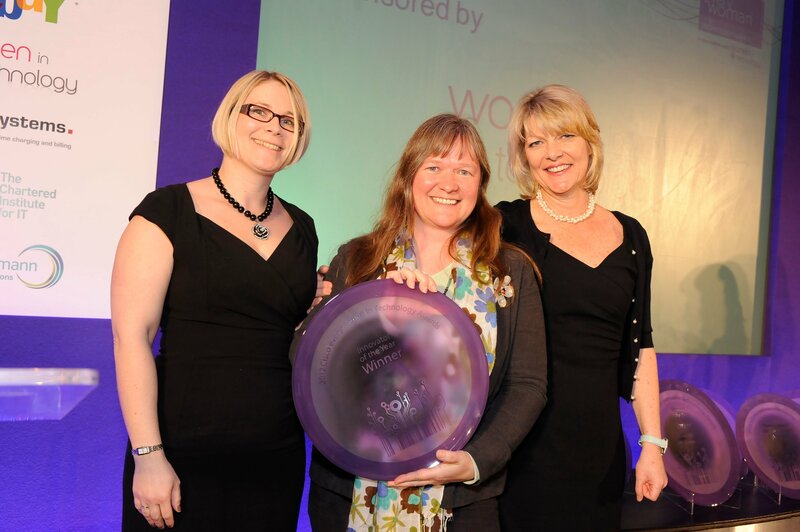 Winner Mandy Chessell, IBM distinguished engineer, master inventor, chief architect for InfoSphere Solutions, along with Maggie Berry, managing director of womenintechnology.co.uk (category sponsor) and everywoman co-founder Karen Gill. Mandy joined IBM in 1987 and has since strived to use innovation to tackle the challenges that the business faces working across different roles from transaction processing to business process modelling. She is currently spearheading an initiative to create software design pattern language for information integration. Mandy is also a Fellow of the Royal Academy of Engineering.